Yasuhara Co. Ltd. (安原製作所, Yasuhara Seisakusho) was a small Japanese company that between 1998 and 2004 produced two rangefinder cameras, the Leica-thread-mount T981 or Isshiki (一式) and the fixed-lens T012 or Akizuki (秋月). Yasuhara was founded by Mr Yasuhara Shin (安原伸), who had previously worked for Kyocera, in November 1988. It described itself as "in scale, the world's smallest camera maker" (kibo-teki ni, sekai-saishō kamera mēkā). "Maker" here probably means "designer and marketer": most if not all of the company's products are believed to have been manufactured in China by Phenix. They have also distributed cameras such as the PF-1 and Wide Pan Pro II in Japan. Yasuhara also produced a Yasuhara MC 50mm f:2.8 Leica thread mount lens. The company's address was Komazawa 1–17–17, Setagaya-ku, Tokyo. It closed in February 2004, citing the unexpectedly fast reduction in the market for silver-based photography. The company in 2007 then reemerged and started focusing on lenses mainly for mirrorless digital cameras. As of writing 2016 a fisheye, macro lens are available along with dedicated tripod mount for the fisheye. 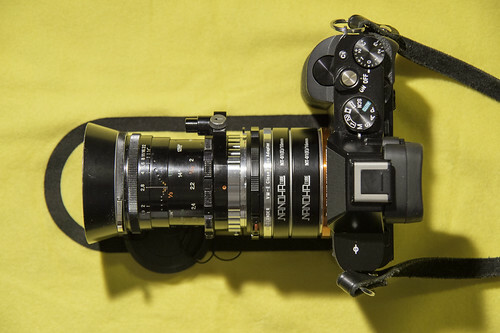 Most notably though is the release in 2015 of their remake of the lens from Kodak's Vest Pocket camera. Their lens is named Momo, meaning 100 in traditional Japanese, in celebration of the Vest Pocket Kodak that first came out in 1912. 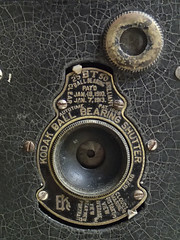 The purpose of reviving this lens is the noted full aperture soft focus effects that Kodak had restricted by making the opening in the Vest Pocket cameras lens hood smaller than the actual lens. This page was last edited on 16 May 2017, at 10:39.